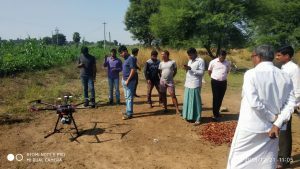 BharatRohan helps farmers attain their greatest potential using Hyperspectral remote sensing- based Decision Support System (DSS). The BharatRohan CropAssureTM is a subscription-based service package that provides support to the farmers from sowing to post-harvest, with periodic alerts on early diagnosis of pests infestation, disease outbreaks and supports in cultivation through IPM practices. This service also helps food companies procure pesticide residue free or IPM agriculture-produce for which they pay good incentives to the farmers. 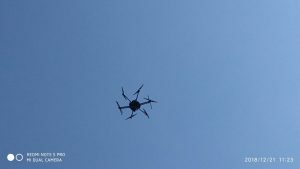 BharatRohan also provides seed companies with valuable aerial intelligence data for their Hybrid Evaluation Trials (HETs) besides serving agri-chemical companies for their product testing experiments toxicity studies, evaluation trials and data compilation for approvals, geography and bio-efficacy studies. Our technology and proprietary algorithms are capable of gathering miniscule colour changes occurring in the plants due to different biochemical changes occurring in different phenological conditions. Consider a Pomegranate plant infected with Bacterial Blight Disease caused by a pathogen known a Xanthomonas axonopodis pv. Presence of this pathogen releases TAL effector proteins into the secretion system of the plant. Once infested, red-brown spots are developed on the leaves. To a naked human eye, these red brown spots become visible only after 7-10 days of infestation but with Hyperspectral imager, the presence of these infestations are identified in very early stages and this helps us diagnose the problem before much damage. BharatRohan is serving more than 2000 farmers directly across Uttar Pradesh, Andhra Pradesh, Telangana, Karnataka and Maharashtra. Also, serving one of the biggest agrichemical companies, seed companies and food companies in India. BharatRohan is working on Mentha cropping system which is a very significant revenue source for the farmers in Uttar Pradesh where 90% of India’s Mentha is cultivated and exported. The cropping system involves Mentha, paddy and potato crop. BharatRohan is building spectral libraries in association with CSIR-Central institute of Medicinal and Aromatic Plants, Lucknow. CSIR-CIMAP handles the microscopic inoculation of pathogens in controlled conditions. The phenological/biochemical changes are then used to generate a comprehensive spectral library which are then correlated with and applied on Drone/UAV based Hyperspectral Data acquired from farmers field using various proprietary unmixing models. CSIR-CIMAP, Lucknow also provides their phenomenal support in creating precision agriculture advisories for the local farmers for Aromatic Crops. BharatRohan’s CropAssure services have helped peppermint farmers save Rs. 3620 per acre by precisely applying the agriculture inputs where they were required. Moreover, the productivity of Peppermint oil increased from 50 kg per acre to 70 kg per acre. Provide unprecedented advisory services through a proprietary ICT Platform. Diagnose pest attacks, disease outbreaks in the crops of interest and suggest control methods. Characterise weed infestations and suggest control methods. Acquire, process and analyse farm level precision agriculture data and support farmers in implementation of precision agriculture advisory from the stage of sowing to the harvesting. BharatRohan has served Potato Farmers in Barabanki District and has successfully provided early diagnosis for diseases like late blight. This helped farmers to reduce their chemical usage and increase the profit margin. Also, BharatRohan partnered with a agriculture processing company to procure the high quality produce cultivated by BharatRohan farmers at better price point. Seed companies carry out Hybrid Evaluation Trials (HETs) and High-throughput Phenotyping to understand various genetic traits of the newly developed varieties. These experiments also help them in selecting the best variety to be released for farmer use. Companies spend a lot of manpower in collecting Crop Height Information which is often imprecise and bound to be biased. BharatRohan acquired unprecedented aerial from their trials and developed high quality canopy height maps which is extremely valuable for such trials that may correlate with characteristics like maize drought tolerance and maize ear height. Maize Leaf-Tassel Classification Maps which classify leaf and tassels to help them understand what percentage of Maize Crop that has started developing tassels were also created to help them understand rate of growth of male part on the different varieties, maturity of the developed variety and rate of pollination. Our mode of operation is highly scalable with intrinsic flexibility. While serving farmers, we focus on providing comprehensive solution throughout the crop growth. Yes. We are open to listening ideas and accepting partnerships in every aspect of our business. Especially, companies involved in seed production, agrichemical production, research & distribution and food companies engaged in procurement of minimal residue agriculture produce can connect with us.